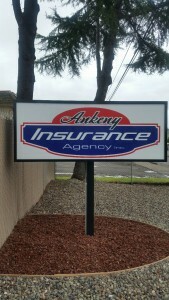 Contractor Insurance Agent - Ankeny Insurance Agency, Inc., Inc. Contractors large and small trust the insurance professionals at Ankeny Insurance Agency, Inc. to get them the right insurance at the right price. We can insure your business whether you’re a small artisan or an experienced large electrical contractor. Whatever your trade, ensure you have the proper insurance and bonds in place at all times to protect you.